Step 1: Spray Out Booms Every Night. 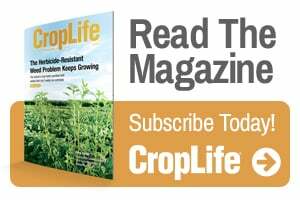 Applicators often comment that sprayers that sit overnight with herbicides in the hoses and booms for extended periods (more than eight hours) can result in crop injury issues even after they are properly cleaned. Mississippi State University research shows that when applicators leave herbicides overnight in rubber hoses, the herbicide can penetrate and reside in the hoses and ultimately become more difficult to remove. Step 2: Perform First Rinse in the Field. The highest herbicide concentration left in the tank can be found when the pump looses its prime. It’s important to remove as much of this concentrated spray mixture as possible before starting the actual cleaning process. How much water should you flush through sprayers in the field? A general rule of thumb is to use 10% of the tank’s capacity per rinse. Another general rule says to add at least two to three times the amount of gallons applied per acre. Each rinse of the boom will range from 30 to 50 gallons of water. Step 3: Remove and Clean All Screens. After performing the first rinse in the field, it’s time to remove the concentrated herbicide from your sprayer equipment screens. Most of this is usually a pasty material that did not completely dissolve when it was added to the tank or that settled out of solution during the spray operation. This material will remain trapped in the screens until the next chemical is added or a solvent breaks down the herbicide residue. The best way to clean screens is to scrub the screen inside-out with a brush and soapy water to loosen particles. Then, rinse the screens with clean water. Step 4: Remove and Clean Boom End Caps. An end cap is the section of a boom between the last nozzle and the end of the boom. In many cases, there is about a 2-inch section of boom that extends beyond the last nozzle. Spray solutions can become stagnant in the end cap areas. This stagnation can cause thick layers of herbicide residue (which has a toothpaste consistency) to pack into the end cap and coat the surface of the pipe. Just like screens, you need to remove and clean end caps before using your spray equipment again. To clean the boom section of your equipment, first remove the end caps and scrape away any debris and residue inside them with a brush, tank cleaner ordetergent, and water. If you have seven boom sections, you will have 14 end caps. Step 5: Perform Second Rinse With Water. A second rinse of water will dislodge most, if not all, of the loose residue that remains on the tank walls, lines the hoses, or is trapped in low-lying places. Circulate the water through the hoses, pumps, tanks, fill lines, and flow meter lines. Step 6: Add Tank Cleaner. Tank cleaners are sophisticated products that neutralize (break down) the herbicide molecule, increase the herbicide’s solubility (so it can be flushed more easily), and remove any residues that may have penetrated into the walls of hoses, tanks, or fittings. Step 7: Perform Final Rinse and Flush. Some retail operators perform one last flush of water to ensure the system is as clean as possible. Others even go an extra step by removing the screens again and using a pressure washer to clean residues from the sprayer surface. And still others use a tank mix surfactant or fertilizer additive, which are good at removing herbicide residue that commercial cleaners can leave behind.